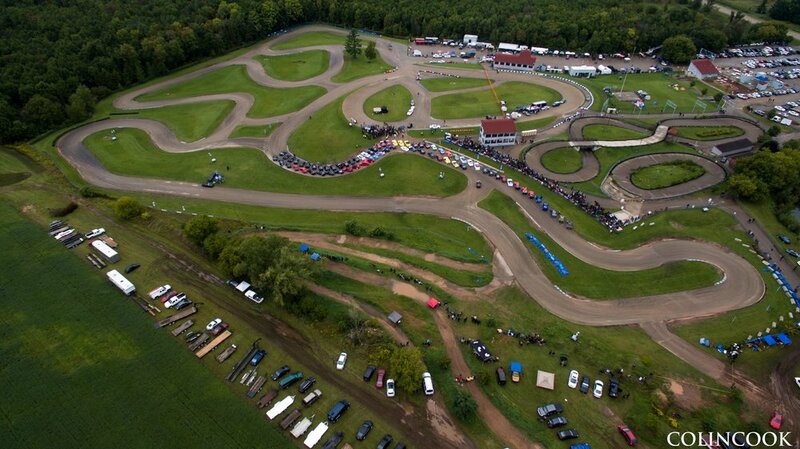 The 1.1 mile road course/oval was built in 2005, designed by World Karting Association's Kenny Venberg, on 40 acres of land that had been the site of a 30-year old amusement park located just outside of Shawano, Wisconsin. Great lengths were made to create a world class track. Even the asphalt used for the course was specially formulated - called "Rosphalt - a blend of rubberized asphalt. Originally designed to be a premier Kart racing track, the road course combines fast sweeping corners, tight hairpins, long straightaways and elevation changes you have to see to believe. It's called the "Rollercoaster of Love" for a reason! USAIR has hosted state, national and international events, including the Rotax Grand National Race. The track welcomed record numbers for both the USPKS and Route 66 Sprint Series. Drift cars have found a welcoming home here, bringing drivers to sold out Club FR drift events. With new ownership in August 2016, improvements to the property are ongoing, giving a fresh look and feel to the track. Pat & Anne Polk have managed the track operations since 2010 and work closely with owner Bob Holzmann to open up new opportunities for USAIR and racing aficionados.